Is competition a curse or a convenience? When it comes to search engine marketing, both answers are correct. Competition can be stressful; after all, there are 644 million websites on the internet. Competition can also be a convenience when it drives us toward marketing success. Jay Baer once advised, “Make your marketing so useful, people will pay you for it.” Stellar suggestion. However, if no one sees your marketing, no one will discover the benefits of your product or service. This article contains effective search engine marketing strategies. At the end of this article, you’ll boost your visibility in search engines. By boosting your rankings in the search engine results pages, your credibility will improve. People trust blogs that rank high in search engines. For this reason, by boosting your position in the SERPs, you’re improving your branding. Also, by boosting your organic traffic, your website visitors will convert to signups, and your signups will convert to sales. Organic traffic is free while search traffic is paid. This article will explain how to get free, organic traffic to your websites. It gets better: These search engine marketing tips are free and easy to implement. Search engine marketing consists of boosting your website’s visibility in search engines in order to increase traffic and sales. This type of marketing has a huge advantage: SEM generates targeted, quality traffic. Since this article teaches how to incorporate keywords, if you follow these strategies, your search engine marketing techniques will attract people looking for your content. What is the connection between SEO and SEM? In order to make your website visible to search engine users, you first need to optimize your posts. This is where SEO, search engine optimization, comes in. In other words, in order to practice effective search engine marketing techniques, you need to optimize your website content for search engines. By following the action plan in this post, you’ll be able to make sure your posts appear high in the search engine results pages (SERPs). The strategies in this post will also ensure people click your links once they see your website in the SERPs. If a tree falls in a forest, and no one is there to hear it, does it make a sound? If you advertise your product or service on the internet, and no one sees your marketing efforts, how valuable is even the greatest content? Answer: No value to speak of. Instead of posting to the internet and waiting for people to realize how wonderful you are, make sure there is a built-in interest before you post to the internet. Many free tools exist to let you know if people need your content. For example, let’s say the Fotor company wanted to market their powerful photo editor. 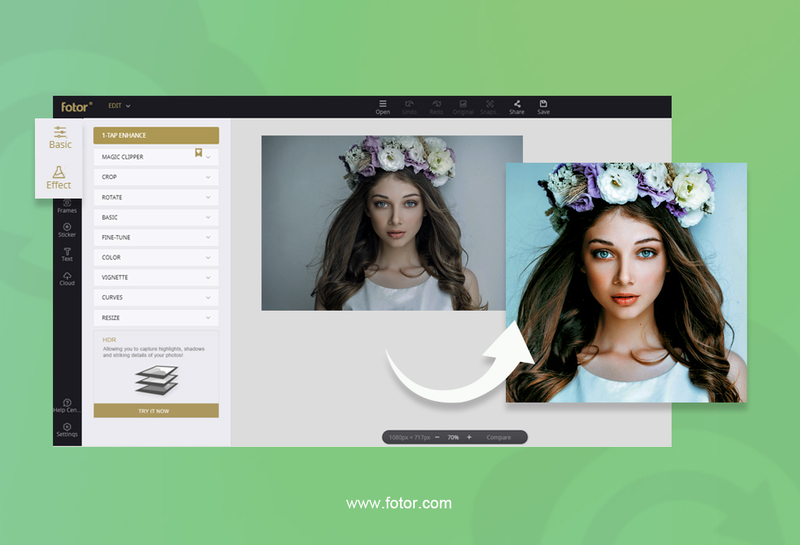 The Fotor photo editor has many functionalities such as 1-tap enhance, background remover, resize, crop, rotate and straighten, and photo effects. This tool satisfies all the photographic and image creation desires anyone could possess. However, before attempting to market this versatile tool, the Fotor company should make sure people actually need a photo editor. The Fotor photo editor is valuable in a large variety of ways, but if no one needs a photo editor, the power of this tool is rendered irrelevant. Look at the numbers in yellow to the right of the screenshot. By looking at the fourth entry, the Fotor company sees trying to rank for “free photo editor” is far more likely. Although the KWFinder tool still advises proceeding with caution, “free photo editor” will be easier to rank for and still generates 135,000 searches monthly. What else can Fotor do to beat the competition in the SERPs? In addition to optimizing your post with your focus keyword, tags also get indexed at Google. This would be a great tag for Fotor’s content. The term should also be used in the post. In order to avoid keyword stuffing, use LSI (Latent Semantic Indexing) keywords, synonyms for your keywords, in your content. In order to find LSI keywords, many marketers use LSI Graph, a free LSI keyword generation tool. Once you’ve found your keyword, optimize your content for search engines. Include your keyword in your post. How often? You don’t want to be penalized by Google for keyword stuffing after all. Use Yoast, a free plugin. Yoast tells you if you’ve used your keyword too often and other valuable tips for optimizing for search engines. Include your keyword in your SEO title. Here’s the kicker: Google sees your SEO title, not your headline. 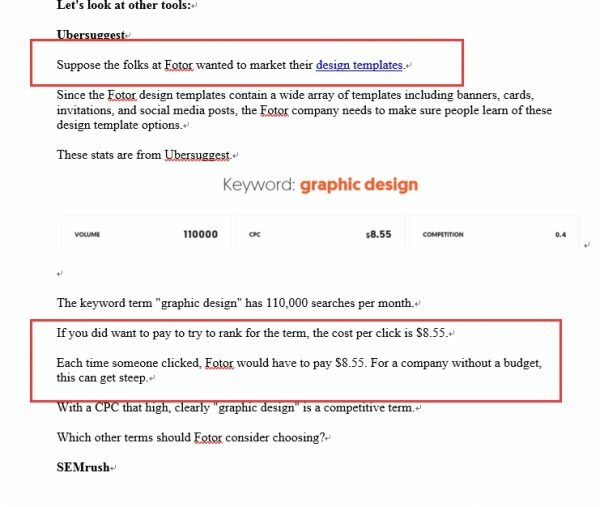 When you put your keyword in your SEO title, include the keyword at the beginning before the colon like in the example in the screenshot. As seen in the screenshot, you want to put your focus keyword in your post URL and the meta description. Also, you should include the keyword in the alternative text. For example, let’s say you need to publish a blog post about how to boost your business with social media. 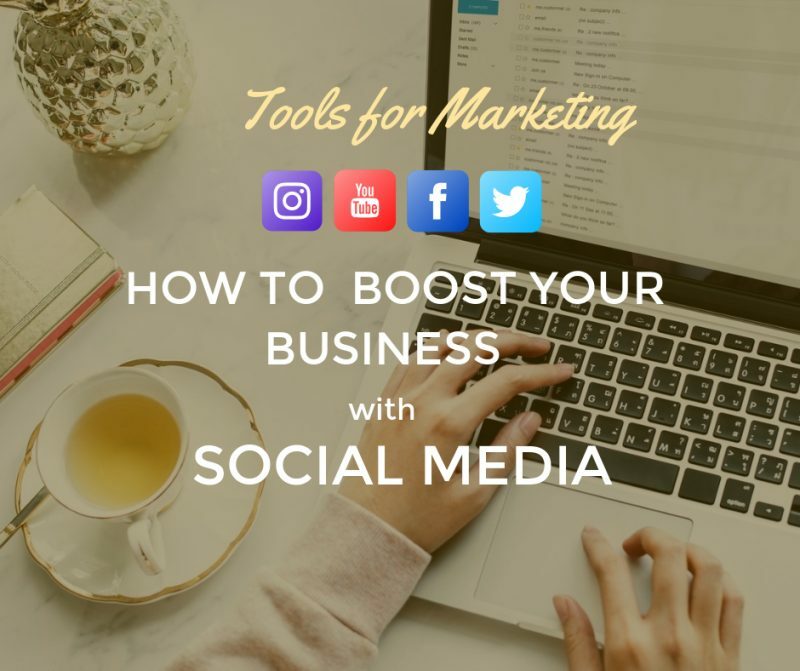 So the first step is to create eye-catching posts on Fotor, and then change the alternative text into a relative content, like how to create social media post. This screenshot shows how you would write your alternative text in a WordPress dashboard. Tag your post with your focus keyword and other relevant keywords by putting the keywords in the section labeled “alternative text”. Put your keyword in your headline preferably near the front. Put your keyword in your meta description. Use the Yoast plugin so you can ensure you have the right amount of keywords in your post. Put your keyword in your subheads. Use LSI keywords to avoid keyword stuffing and risking a Google penalty. No SEM guide is complete without including a section on voice search. Today, people dictate their queries. This changes the wording of the user’s search. What is the result? Marketers must adjust for voice search. You need to make your focus keywords longer. Let’s take an example again using Fotor. One of Fotor’s most versatile products is a poster maker. Fotor has preset poster templates for all occasions. 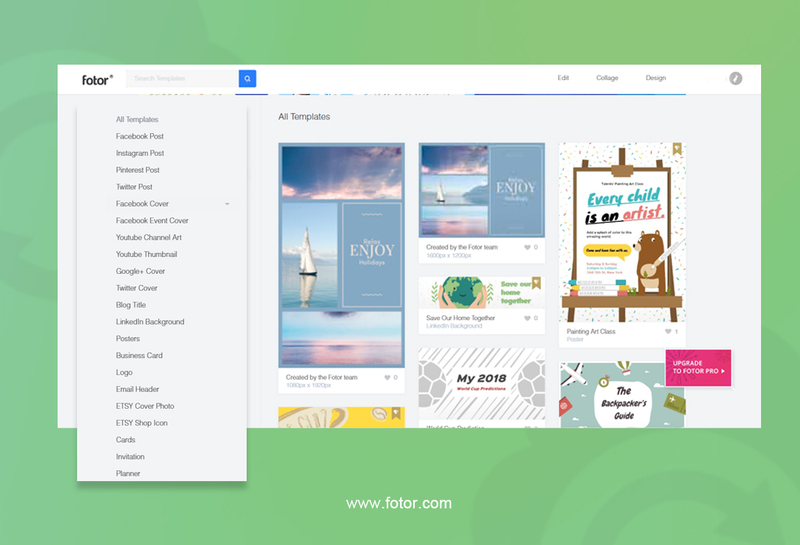 How can Fotor get the consumer to learn about their large selection of poster templates? Did you guess the answers? Today people ask Siri, Alexa, Google Home, and dictate their searches into Google. When people put in search queries out loud, their queries are longer than before the advent of voice search when they were typing. You can see from the screenshot how people word their voice searches. As opposed to being a problem for marketers, this news is helpful. These “long-tail keywords,” keywords with 4 words or more, generally rank higher for marketers on search engines than shorter keyword phrases. Important: Remember that your post tags rank as well. In addition to your focus keyword choice, you can put additional relevant SEO keywords in the Tags section of your website content. Are you familiar with the SWOT acronym? Beating your online competition includes performing a SWOT analysis. Analyze your competition’s Strengths, Weaknesses, Opportunities, and Threats. Whether or not you want to pay for ads or have a killer meta description so engaging people will be compelled to click your links, you should see what your competitors are doing on Google in order to outrank them and generate traffic they might have received. When you go to SpyFu.com and click “Competition,” you’ll see SpyFu recommends actions you should take to improve your organic traffic. This screenshot indicates that my online competitors compete for a keyword, and I’m not involved in the competition. Of course! Why should they get traffic I could be getting? Why should they get business that might otherwise be mine? Fotor has a versatile all-purpose poster maker. 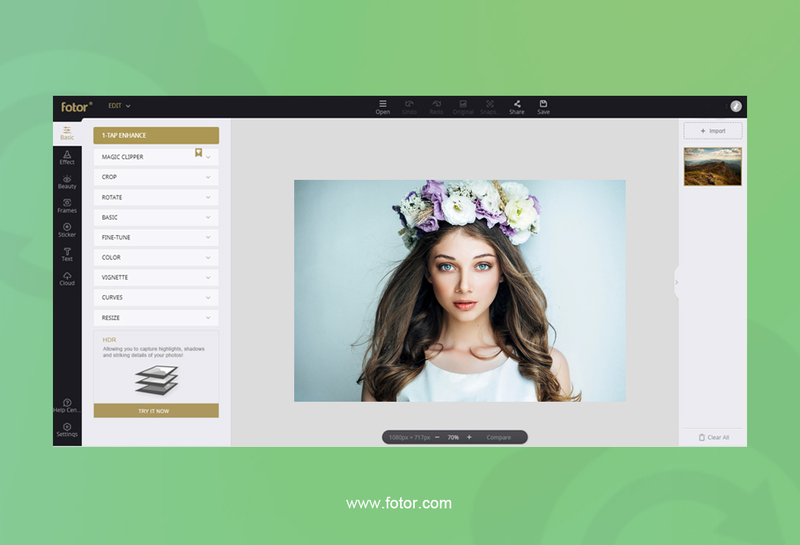 What does Fotor’s competitors’ advertising look like? What could Fotor do to grab the Number 1 spot? Maybe Fotor’s meta description could include a question. Questions engage people. Perhaps Fotor could use words like “easy” or “fast”. People like the ease of time-saving tools. 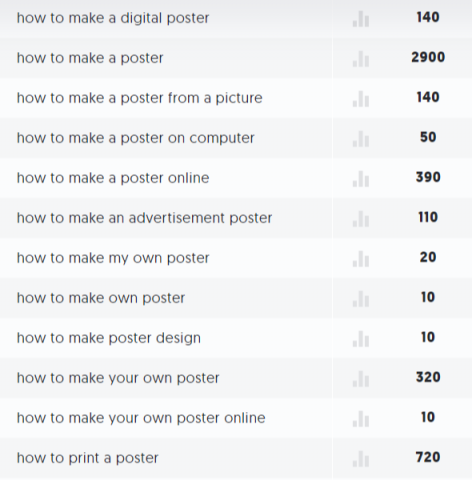 By Googling their headline, Fotor can make sure they have more tips than their competition. The people at Fotor can also read the meta description of their competitors to make sure they have a more engaging description that will compel people looking for a useful online poster maker to click. Often times, that’s all there is to beat your online competitors. A simple tweak in your meta description could get you to the top of Google’s SERPs. Competitive analysis should be a routine part of your SEM strategy. Search engine users crave indepth content that will help them solve their pain points. Research conducted by Brian Dean shows the average post on Page 1 Position 1 in Google’s SERPs contains 1,890 words. Again, competitive analysis is important. I’ve read tips that advise beating your online competitor by 10 times. In this screenshot, you can tell my post from MostlyBlogging.com outranked Forbes’s article. People might still choose to click on Forbes’s post since Forbes is a world-renowned publication and we have the same number of tips. Would people still click on Forbes’s post if I had added a tip? Would people still click on Forbes’s post if I had used the 10X rule that states to beat your online competitor by ten times and added 120 tips? Make sure you have at least one image to accompany your text. Infographics, charts, GIFs, photos, and graphics work well for engaging your visual learners as well as boosting your position in the SERPs. People are busy. They won’t wait for your website to load. Go to GTMetrix.com to check your website’s speed. Google considers any site without “HTTPS” at the front of the URL unsafe for its users. Your website visitors may see a warning when they attempt to visit your website which could scare them away and worsen your bounce rate as well as your traffic and sales. Brian Dean’s research included over 1 million sites. He found Google does favor sites with a low bounce rate. To check your bounce rate, go to Alexa.com. This post contained an action plan containing free tools and methods you can use to boost both your SEO as well as your SEM. Research your keyword. This will ensure you have a high search volume but low competition for internet readers. Use both your focus keyword and LSI keywords in your content. Conduct competitor analysis. This will ensure your website content as well as your meta description beats the online competition for readership. Publish in-depth quality content that solves people’s pain points. Have a fast-loading, secure website. When can you realistically see an improvement in your search engine traffic? The older your website becomes, the greater the chances for your website to see organic traffic. Why? Google likes blogs with longevity. Older blogs show Google stability. Yours is not a “fly by night” website. When you follow the strategies in this post, you’ll lure away your competitor’s business, your credibility will rise, and both your website traffic and sales improve.